Another quiet week from me on here I know but I've been madly designing, making, photographing and filming my new 'Twas the Night Before Christmas Album the last of the four projects I have lined up for my 3 day Graphic 45 Retreat this weekend at the Holiday Inn Leamington/Warwick. the on line workshop for the album will go live next week too. 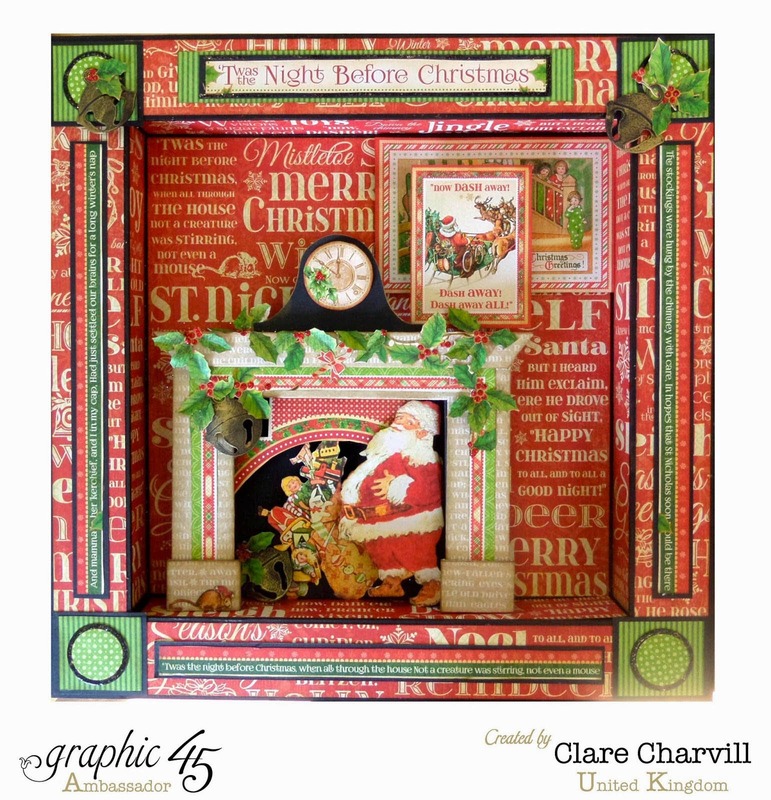 Our 30+ lovely ladies have a choice of two smaller projects on Friday, the first is a stationery Box by Tando altered in Raining Cats and Dogs papers and the second is a 12 x 12 Shadow box by Candy Box Crafts and altered in 'Twas the Night Before Christmas papers. There's two larger projects to make over Saturday and Sunday. 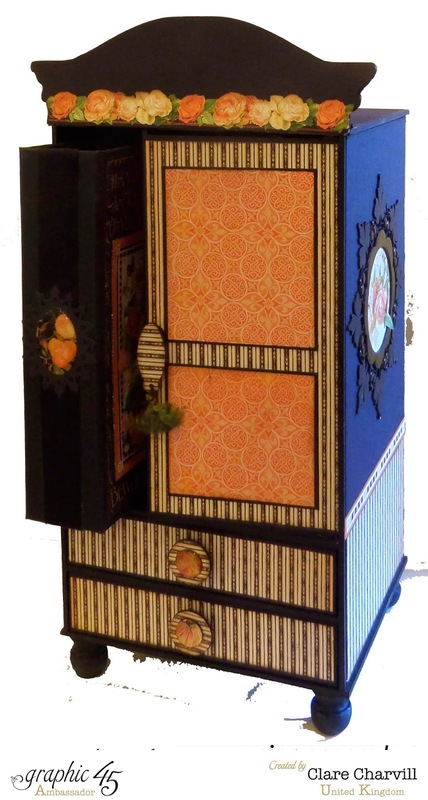 My Armoire with album and Tags or 'Twas the Night Before Christmas album, along with extra kits available for all. 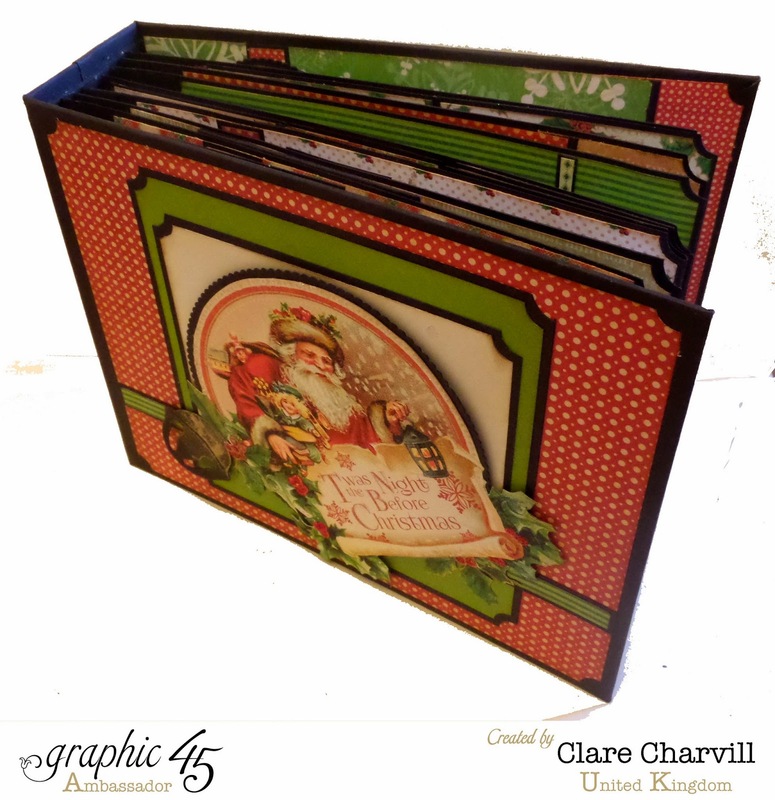 All Graphic 45 products and card stock for the 150+ kits has been supplied by Jones Crafts of Nottingham. Thank you Sandra for all your support. 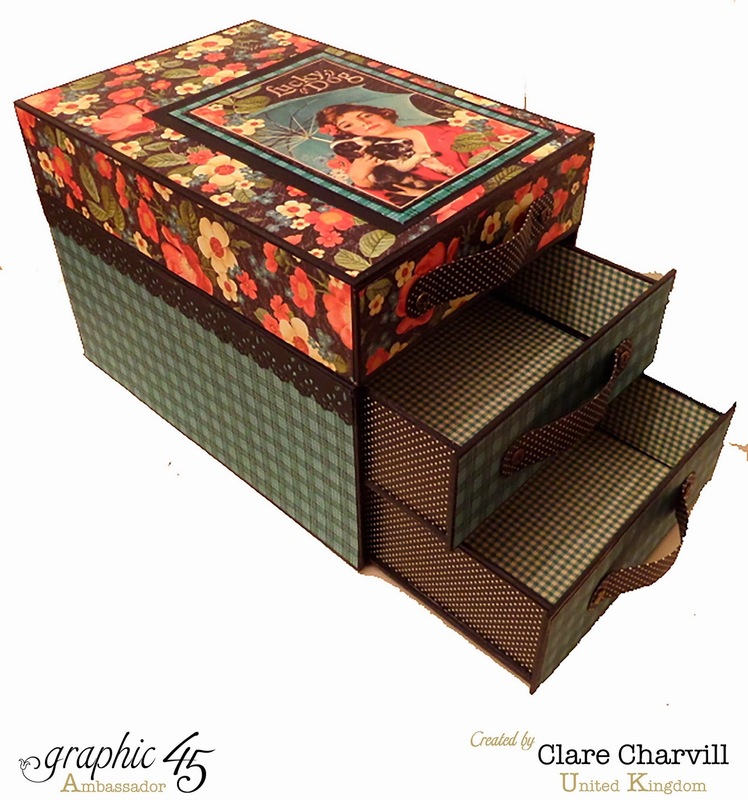 wow gorgeous work you did Clare. Forget the Hoover Clare, lol, you should see my place!! I am getting ready for my 2 day show next weekend and when I am creating, etc. etc. I don't clean, only do what I have to!!! I have burgundy carpeting and with my dog coming in at night out of the cold, I have fur, dried grass, etc. on it!!! It will all get cleaned soon!!! Thanks for sharing can't wait for the videos!! !